Frenchman Mehdi Nemmouche has been jailed for life for killing four people in a terrorist attack at Brussels' Jewish Museum. 33-year-old Nemmouche opened fire with a Kalashnikov on 24 May 2014, killing two museum workers and an Israeli couple on holiday. Prosecutors said Nemmouche had shown an "absolute lack of regret vis-à-vis the victims". His accomplice, Nacer Bendrer, also of French nationality, was sentenced to 15 years in prison for helping to plan the attack and supply weapons. 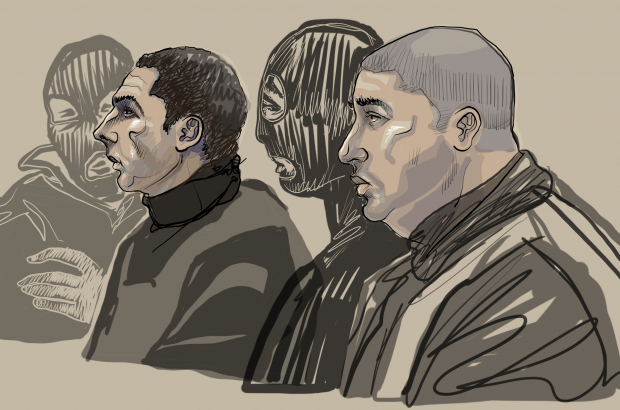 The jail sentences come after a two-month trial at Brussels' Justice Palace. Nemmouche, who had spent a year fighting in Syria for Islamic State, was arrested in Marseille a week after the attack, in possession of weapons, ammunition and an Islamic State flag. Bendrer was arrested in December 2014, also in Marseille. A third man suspected of being involved in the attack was released without charge and a fourth, filmed on CCTV with Nemmouche in Brussels, has never been identified. "Today, justice has been done," the Jewish Museum said in a statement. "It's a victory against hatred." The museum added: "The Jewish Museum never gave in to fear. Today, a page is turning. The Jewish Museum of Belgium intends to continue, more than ever, its cultural, educational and heritage missions."